Grand Gaube is a town in the Rivière du Rempart District of the northern Mauritius. Grand Gaube is a highly visited northern Mauritius destination. It is a wonderful little fishing town which has benefited from fishing tourism development. It is a quiet beach with fantastic views of the four offshore islands. Grand Gaube is just 5 minutes from Cap Malerheux and 15 minutes drive from the popular tourist hub of Grand Baie. From Grand Gaube you can go for 1 day excursion to Ile des Deux Cocos Island. The sight of the blue lagoon especially on a sunny day is incredible. The Island is beautiful and fantastic to see and to swim in. It’s not deep, so you can walk quite far away from the island. You can even go for a small boat trip to snorkel around the lagoon to see the fishes and the corals. There is also a famous Hindu Temple called as Goodland where you can even go to offr your prayers. 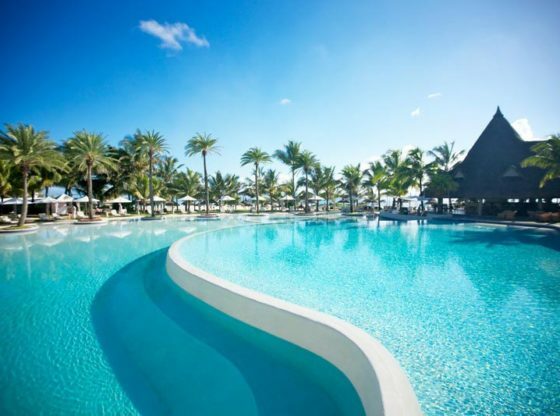 Grand Gaube, Mauritius, offers hotels of various styles according to your budget. The prices for rooms in Grand Gaube range from 139 USD to 388 USD. Legends Hotel is very popular in Grand Gaude. You can also enjoy your stay at the Mediterranean style beach Villa in Grand Gaube which is modern, spacious and situated right on the beach facing lagoon. There are many more options to choose from like Veranda Paul & Virginie Hotel & Spa, Calodyne Sur Mer and Les Banians. There are many restaurants, offering various cuisines which are delicious to eat. For enjoying drinks you can also opt for some exotic bars located near the beach.. A combination of good food and bar is Balikopy Bar Restaurant Lounge where you can relax in good atmosphere and enjoy local cuisines with your favorite drink. Others include Banyan Pool, Bar & Grill, etc.